“Pangnegosyong Gatasan ni Juan (Juan’s Dairy Business)”, a project of the local government of Ubay in Bohol province is now underway. The undertaking was officially launched during the town’s 167th foundation day celebration on September 1 in cooperation with the Philippine Carabao Center at Ubay Stock Farm (PCC at USF). It is being implemented in the context of PCC’s national Carabao Development Program (CDP), which aims to help in efforts to address concerns involving poverty alleviation, food security, improved nutrition, and employment opportunities by harnessing the potentials of the water buffalo, commonly known as carabao, for milk and meat. The Ubay project bears the slogan “Aron adunay trabaho, dugang kita ug garbo ang lungsod sa Ubay [so that there will be jobs, additional income and pride for the town of Ubay]”. 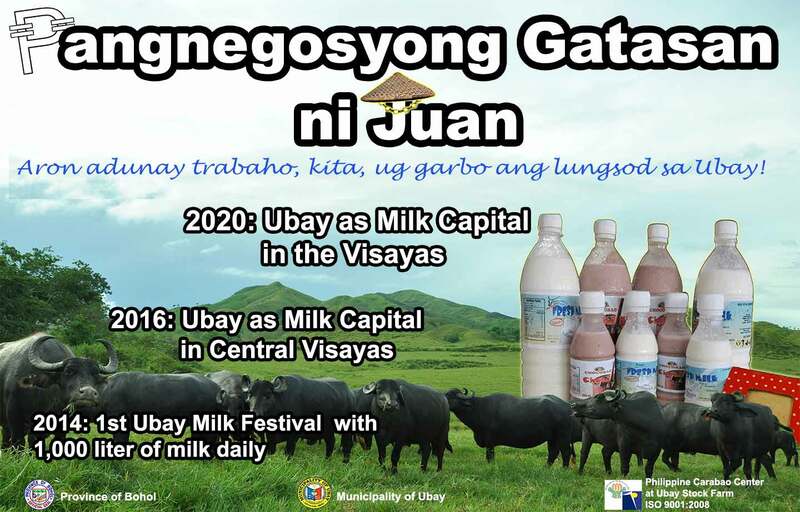 “Pinaka target nato nga by year 2020, mamahimo ta’ng milk capital sa whole Visayas area [our target is that by year 2020, we will be hailed as the milk capital in the whole Visayas area]”, says Ubay Mayor Galicano E. Atup. “Ubay has been very supportive of the agency’s undertakings. That is why it was chosen as one of PCC’s impact areas where our operations are being modelled,” Dr. Caro B. Salces, PCC at USF director, explained. Data gathered by the center show that Ubay had produced 76,678.90 liters of milk since 2010 up to August 2014 from 176 dairy farmers. 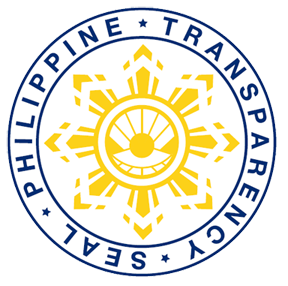 Moreover, 271 Ubayanons had availed of PCC’s bull loan program since 1998, while not less than 35,000 AI services have been rendered with the town since 2004, and counting. The Ubay LGU and PCC at USF, along with other partner-agencies have set modest goals for its dairy-related project. It aims to conduct the 1st Milk Festival by 2014 which will mark attainment of the targeted production of 1,000 liters of milk per day, including those produced from cows and goats. By 2016, it aims to conduct the 3rd Milk Festival and achieve the distinction of being hailed as the “Milk Capital of Central Visayas”, and eventually be recognized as the “Milk Capital of the Visayas Islands” by year 2020.